Depicting a ruined Nordic or dwarven hall. 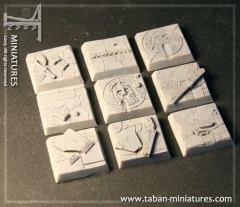 Suits any 25 to 32mm miniature. Finely detailed and casted. A fast and efficient way to give your models and units a great look and coherency!